Federal officials have rejected an Arizona construction worker safety plan, saying it doesn’t go far enough to protect employees. Residential construction sites must now follow Occupational Safety and Health Administration safety standards when it comes to fall protection. The state can create new requirements of its own, but one federal official said that’s not likely to happen. One construction industry representative called the federal regulations unnecessary, and he said following those guidelines could cause more harm than good. “We believe the employment of federal standards is not safe,” said Spencer Kamps, vice president of legislative affairs for the Home Builders Association of Central Arizona. In 2012, legislators crafted fall guidelines for the state residential construction industry in response to the OSHA standards. They argued that the standards were too costly for homebuilders and wouldn’t significantly increase safety. On Feb. 6, OSHA rejected the statute. Among other provisions, workers must now wear a safety harness when working above 6 feet instead of the previous 15-foot requirement under the statute. 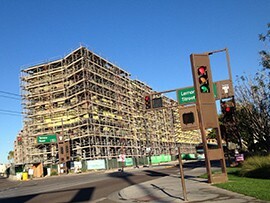 OSHA will monitor construction sites to make sure they follow federal standards, said Zachary Barnett, the director at OSHA’s Phoenix office. “It baffles me. Why would an industry not want to provide the best protection for workers? I don’t know,” Barnett said. But Kamps said one reason he thinks the federal regulations are more dangerous is because residential construction sites use wood, which doesn’t make a strong anchor point for workers to tie off their harnesses. Kamps, who lobbied for the legislation outlining the state’s plan, said the Arizona’s guidelines were effective. Thirteen people died on construction sites in 2013, with five of those attributed to falls, slips or trips, according to Industrial Commission of Arizona records. Joshua Welp, the safety director for Kitchell Contractors, said he’s glad OSHA is enforcing the federal standards. He said it does cost more to follow the 6-foot rule, but some companies skimp on safety. But Welp said serious injuries or fatalities would cost much more money than equipment and training for workers. Kamps agreed that safety should be a priority. “We are always looking for opportunities to reduce money and time, but not in this issue,” Kamps said. 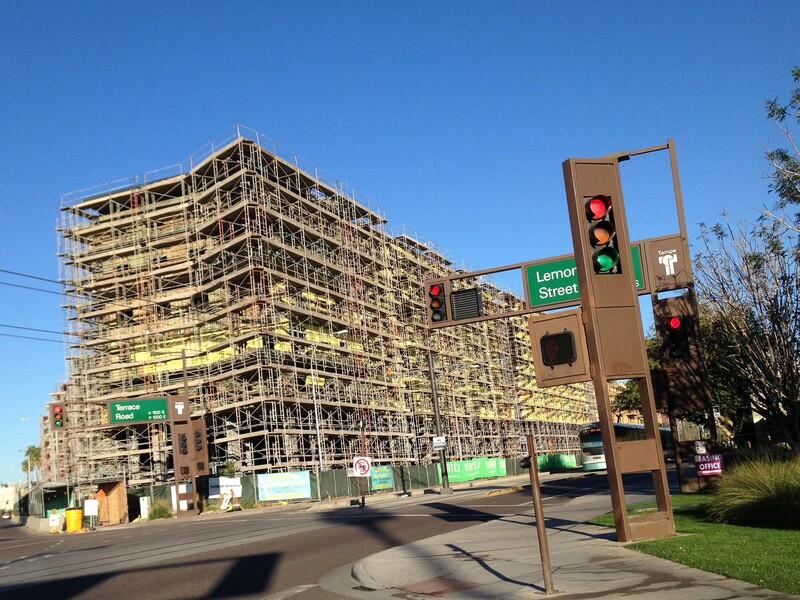 This construction site will become an apartment complex on Lemon Street and Terrace Road in Tempe. Residential construction sites must now follow Occupational Safety and Health Administration safety standards when it comes to fall protection.